For the guy or gal who crushes your sales numbers, award our Perpetual Monster Sales Business Trophy! 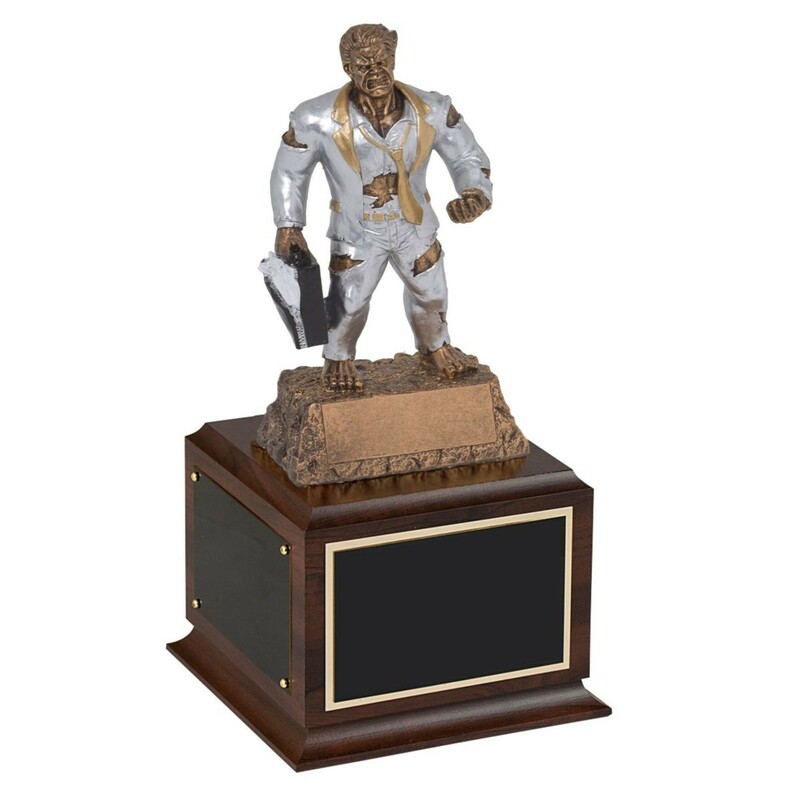 Standing 10.5" tall, this funny business trophy features a hunky monster bursting out of his shirt! Gold engraving on a black brass plate make this hulk-looking trophy the ultimate award for all your victory needs! Engraving on the front plate is free of charge; add the optional 3 black brass side plates to hold names for years to come. Some Assembly Required: to reduce the chance of damage during shipping, this sales award comes in two pieces with strong epoxy glue and instructions for easy assembly. Click here to view our assembly tutorial.